The experts have spoken and its great news. Blend, don’t match. 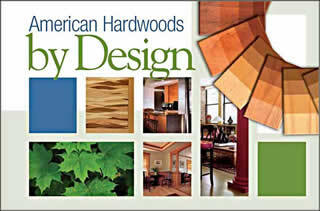 “American Hardwoods by Design,” a 17 page full-color brochure from the American Hardwood Information Center, offers the most authoritative answer available to the mix-or-match dilemma. Blend is the word from top interior designers as they tell how and why in “American Hardwoods by Design.” Illustrated with point-proving photos, the brochure is designed to take the fear out of color decisions, and to explain the many decorative options that come from America’s hardwood forests today. Order your copy today at www.hardwoodinfo.com.